Government Healthcare Financial Consultant- Virtual Opportunity at Marsh & McLennan Companies, Inc.
Mercer’s Government Human Services Consulting (GHSC) practice focuses on the unique and challenging needs of the public health care sector, providing a wide array of consulting services to local, state, and federal government agencies across the country. GHSC helps clients achieve better outcomes, develop and deploy defensible strategies, and reshape the delivery of health care. We deliver an individualized focus, powered by industry-leading experience, integrated capabilities and passionate people. GHSC has been partnering with states and other stakeholder organizations for over 34 years to face the demands and pace of change with data-driven pricing, clinically-informed policy and trusted, reliable strategies to manage and deliver care. To learn more about Mercer’s GHSC practice, please visit www.mercer-government.mercer.com. The Government Health Care Financial Consultant will project manage the data modeling process for our client projects. This role will also use expertise to provide the technical review of data, manage tasks and deadlines and is a resource for the client. This position allows for full-time telecommuting from any US location. Knowledge of MS Office Tools. Intermediate to advanced skills in Excel. Intermediate skills in Access. Our deep knowledge bank, with winning strategies, creative ideas, tested innovation and industry recognized guidelines are why clients choose Mercer. This is our foundation, but our people bring everything to life, sharing their experience and knowledge to improve every outcome. Employees choose Mercer for career growth, as well as the opportunity to assist clients in providing efficient and innovative ways to deliver vital health care services. Projects include helping clients navigate the Affordable Care Act, program design for innovative models of health care, analyzing health care costs and trends, and assessing quality incentives and strategies to improve overall managed care program effectiveness. Mercer’s stimulating and learning filled environment helps build strong relationships with colleagues and our clients. Mercer is a global consulting leader in talent, health, retirement, and investments. Mercer helps clients around the world advance the health, wealth, and performance of their most vital asset — their people. Mercer's more than 22,000 employees are based in more than 40 countries, and we operate in more than 130 countries. Mercer is a wholly owned subsidiary of Marsh & McLennan Companies (NYSE: MMC), a global team of professional services companies offering clients advice and solutions in the areas of risk, strategy, and human capital. Built on a history of industry leadership that began more than 70 years ago, Mercer helps organizations leverage the power of their people to achieve peak company performance. We work with clients today on current business issues: meeting the challenges of globalization, responding to emerging skill shortages and driving top-line revenue growth. We design strategies that link executive compensation to business goals, manage escalating benefit and pension costs while preserving employee engagement, and deliver on the expectations sought in mergers and acquisitions by successfully integrating diverse workforces. Working with chief executives and HR leaders, our consultants help leverage our clients’ greatest resource — their employees. Mercer GHSC is a specialty practice within Mercer’s Health business. Mercer’s Health business has the world’s largest and most influential benefits brokerage and consulting capabilities. We strategize with clients of all sizes and industries to find benefits solutions that fit their needs. We provide the optimal combination of local-market knowledge and nationally driven best practices. Our innovations translate into superior benefits for clients and distinguish Mercer in the marketplace. Mercer is in a unique position to help our clients achieve the extraordinary — and extraordinary results require extraordinary people. 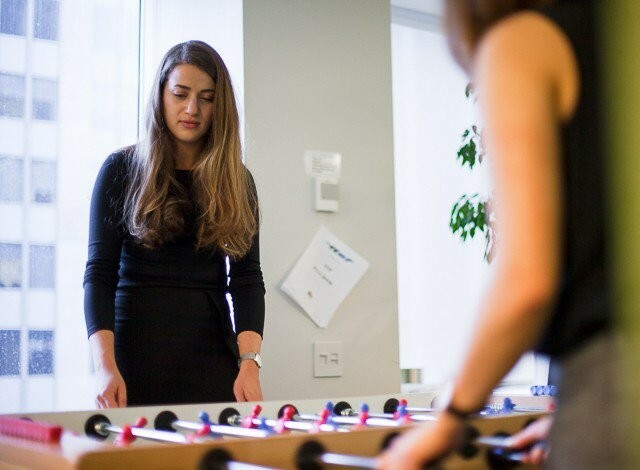 If you thrive on challenge, are passionate about ideas, love solving problems and truly enjoy connecting with people, we encourage you to explore the career opportunities available through Mercer. 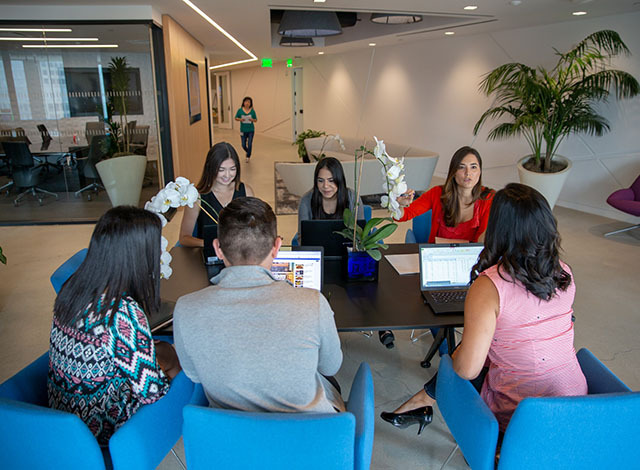 Our competitive programs, entrepreneurial spirit and team-oriented culture offer a richly rewarding and exciting environment where you can excel and achieve your professional goals. Check out our Los Angeles, CA office!